Lost Chip Keys and Remotes Replaced for Most Vehicles! Autos opened fast at completive rates. Quick response time the Salt Lake City and surrounding areas. Call for quote. Lost Automobile, Motorcycle, Boat or ATV Keys? Who's Got Keys to Your Home or Business? Maybe you've just purchased a home or business and would like to have all the outside doors re-keyed, or have some deadbolts installed. Maybe too many people or the wrong people have keys to your home or business. Re-keying your home or business from time to time can be cheap insurance against past or disgruntled employees or even employees and/or kids that lose their keys. Would you like to cut down on the number of keys you carry for your business or apartment buildings? If so you should consider having a master key system setup. Master keying your business or apartment building is a convenient way to have access to all your locks with just one key. For Apartment owners and managers this makes emergence access much faster and easer when needed. 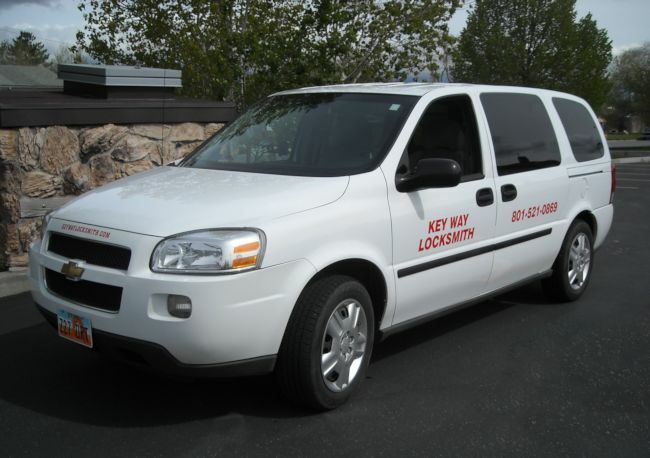 Salt Lake City requires Locksmiths licensed in SLC to go through a criminal background check every year with the Salt Lake City Police Department for your safety. Locksmiths in surrounding city's are NOT required to do this. We do! Earning Your Trust for Over 30 Years!